Making Learning More Visible, Manageable and Effective. OUR MISSION IS TO HELP COLLEGES AND UNIVERSITIES ELIMINATE ACADEMIC-RELATED RETENTION PROBLEMS BY CREATING COMPLEMENTARY LEARNING ENVIRONMENTS . Colleges and universities work tirelessly to enroll students and prepare them for scholarship, leadership, work, and lifelong learning. Unfortunately, too many students either underperform or leave. Our cutting-edge, data-driven approach helps institutions elevate student performance, eliminate academic-related retention problems, and create vibrant, complementary learning environments. Our process is uniquely student-learning focused and refreshingly straightforward. The solutions to student underperformance and retention problems are hidden within the daily interactions that take place among students, professors, and staff within learning environments. For nearly twenty years, we’ve been searching within the trenches of higher education institutions, seeking answers to one significant question: How do students navigate their learning environments? Our search has produced Trench Data, the most direct and definitive source of academic performance predictors available today. We partner with institutions through workshops, training events, and active consultancies to uncover the drivers of student performance, and then develop institution-specific best practices that optimize learning and performance. Trench Data empowers educators, administrators, and students to take precise actions that make an immediate impact and produce remarkable improvements within one academic year. Every day colleges and universities collect data about their students and operations, simply as an artifact of institutional research. Trench Data transforms these artifacts into actions. Our search has proved that each institution has a unique data story waiting to be discovered – its own academic DNA. But many organization’s lack a data strategy that fits their culture and operational realities. We partner with those who work in the trenches at your institution to uncover your distinct data story and optimize your learning environment. In far too many cases, students’ efforts don’t meet their professors’ expectations, athletic coaches and faculty constantly seem at odds with one another, and professional programs rival academic programs. Unfortunately, this environment has become the norm in many places. In complementary learning environments, the path from hard work to high performance is clear to students. Students are empowered by a set of unifying perspectives and skills that help them thrive in every arena. With these conditions in place, students not only make high grades, but they are also personally transformed along the way. You know you’re in a complementary learning environment when faculty eagerly look forward to course evaluations like kids waiting for presents at Christmas time. You have created a complementary learning environment when enrollment officers, professors, and athletic coaches see challenges through the same lens and work together to produce superior solutions. If this sounds like a fairytale, then you need trench data. It often feels like invisible forces control the academic culture. Are we enrolling the right portfolio of students? How is our academic climate enhancing or inhibiting student learning and performance? These questions are vital to ensuring a quality educational experience, but clear answers can be elusive. There are discrete moments when everything seems to align, and the academic climate is healthy. But the underlying factors that created the environment remain unknown. Our Academic Product Production Production model (AP3) identifies the core drivers of the academic climate. We then partner with you to develop the best strategy to give you maximum climate control. Colleges and universities employ a wide range of strategies and tactics to retain their students, but keeping larger shares of students remains a challenge. It’s impossible to eradicate retention problems, but it is possible to eliminate academic-related retention problems. By combining Trench Data and our AP3 Model, institutions have successfully linked students’ daily operations to retention. This unification has made academic success systematic and predictable, making retention problems yesterday’s problems. Click Here to Make Next Year Your Best Year! Discover your data story. Unleash your potential. In early 2002, the nursing program at Lenoir-Rhyne University in Hickory, N.C., had a problem: among its graduates, several were not performing well on the NCLEX, the National Council Licensure Examination. 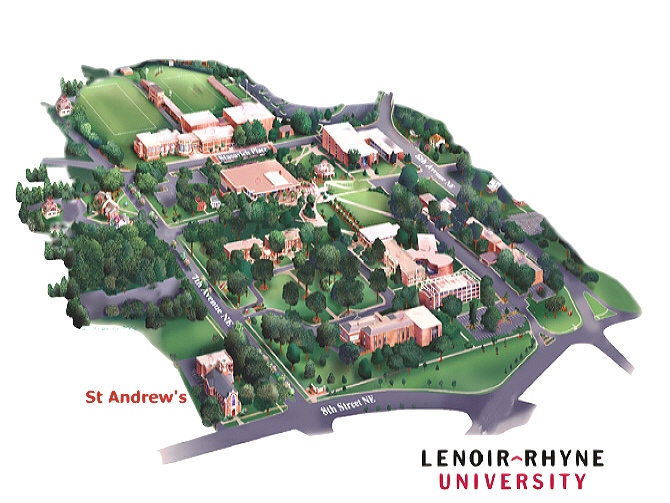 LRU wanted to grow the nursing program in size and prestige, but as it ratcheted up its standards, it was losing students who could not meet the minimum GPA requirements. On the other side of campus, I had been conducting observations, focus groups, interviews, and document reviews with students who were on probation for years. These interactions generated valuable insights into critical nuances of students' struggles. For example, I realized that it was quite common for students to attend the same classes and study together yet deliver drastically different exam performances. Those who were successful used the same study tactics as their less-successful peers, but they used them from different learning paradigms. The higher performing women and men automatically had a "manager’s mentality" that allowed them to access a set of learning regulation skills. On the flipside, lower performing students had a "workers mentality" that was void of these skills. It took a while for me to fully appreciate the impact of this discovery, but it served as a pivotal turning point in my work. I had trained a small group of peer tutors to infuse metacognitive strategies and tactics into their tutoring. We saw immediate and remarkable improvements in student performance. It wasn't long before students on the verge of being dismissed from their university programs became the higher performing students. The strategies were so successful that the nursing faculty asked me to develop an orientation program for incoming students with the goal being to help them introduce metacognitive tactics into their learning. A couple of years later, I was happy to receive an invitation to a ceremony in which the university was recognizing the nursing program for receiving a 100% first-time passing rate on the NCLEX. They thanked the metacognitive tutors and me for playing a role in their monumental success. Watching the nursing program simultaneously increase its rigor and enrollment was thrilling, and being able to play a role in its success was rewarding. But the most enduring part for me was knowing the power that Trench Data -- the data that we extracted from the up-close and personal interactions with students -- was the foundation of the transformation. More than a decade later, Trench Data is still empowering students, programs and institutions to eliminate academic-related retention problems.